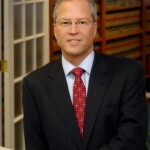 On April 15 and 16, 2010, BSE shareholder Charles E. Smarr will Co-Chair the conference Winery & Wine Distribution Law in the Midwest entering, surviving and thriving in the wine business (http://www.lawseminars.com/detail.php?SeminarCode=10WINEMO). Mr. Smarr will make a presentation entitled “Federal and State Case Law Update: Impacts of recent court decisions on the wine industry and retail sales, including Family Winemakers of California v. Jenkins; Siesta Village Market, LLC v. Perry; and, FWS, Inc. v. Franchot. He is a former supervisor of the Missouri Division of Liquor Control. This conference will provide up-to-date information on an array of regulatory requirements, new developments in legislation and case law, and emerging trends on a state and national level. Attendees will gain immediate practical information such as how to pick the right business structure and avoid employment liability, as well as how to form effective strategies and practices for operations risk management and in-state and interstate marketing. The conference will take place at the Sheraton Westport Plaza Hotel St. Louis in St. Louis, Missouri.